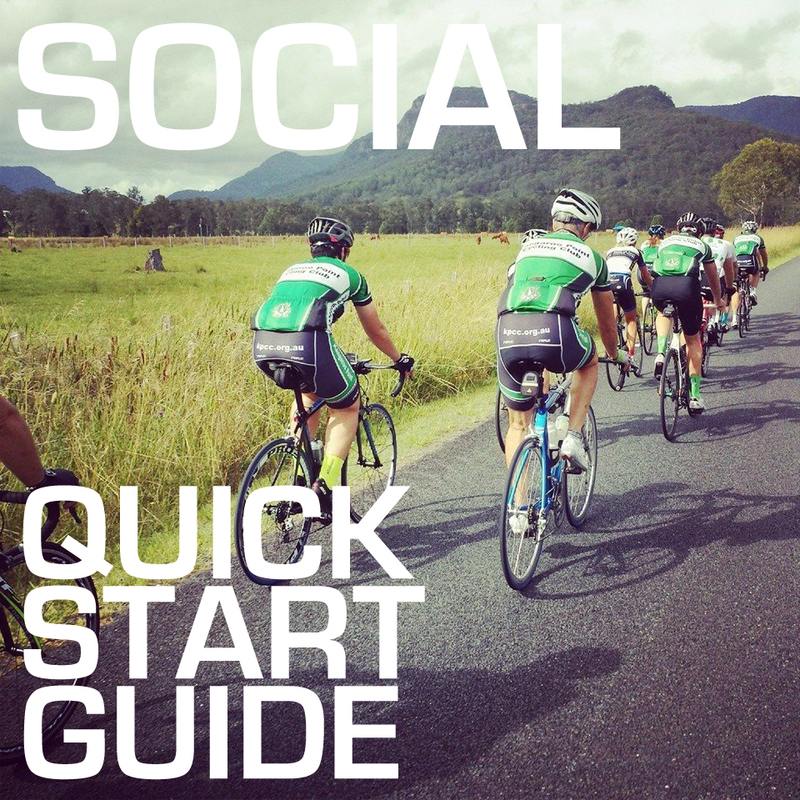 If you've seen us riding in the #greenwhiteblack and you're keen to get involved this Quick Start Guide is for you. Contact the Club Captains to discuss what the club can offer you and let us know if you are interested in joining us for a ride. Riding with a Club gives you access to a range of rides with like minded people and your first step is to join the Club for a Sunday Club Ride. We call this a 'test ride' where you can meet some Club Members, ask as many questions as you like, learn a little bit about riding in a group, and get a feel for whether the Club is for you. We recommend signing up for a Cycling Australia Recreational Ride+ 3 Month Membership ($30) at minimum that will give you 3 months of access to the full range of Membership benefits. As long as you have a road bike with clip-in shoes, some comfortable clothing and a helmet you're ready to start! This is a social ride where nobody gets left behind and usually covers around 60-70km in 3 hours. If you enjoyed your 'test ride' you are welcome to continue riding with us, just remember to upgrade your 3 month licence before it runs out! To ride with the Club you need a Recreational Ride+ Licence. You can ask our Club Captains anything that you like at any time.